When Shane Pratt was hired as principal at Rolling Hills Public Charter School in 2013, the school faced a facility cost challenge in the form of high annual facility bond payments. With the help of Building Hope, a national nonprofit organization, Rolling Hills refinanced their expensive facility debt. Shane Pratt saw this as, “renewed hope for financial stability.” For charter public schools in Idaho, which on average receive about $1,490 less per pupil than district public schools, financing facilities are the biggest operational challenge they face. The bonds were refinanced through a $1.2 million dollar note from Building Hope. The loan from Building Hope had a 5-year term, due in 2018. This loan, the first loan from Building Hope to a school in Idaho, allowed Rolling Hills to regain solid financial footing and secure their future in their community. 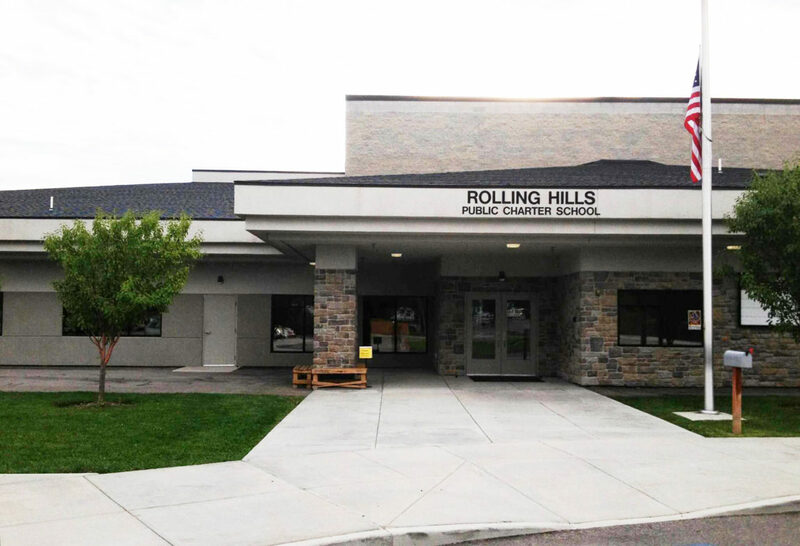 Last week, Rolling Hills became the first school in Idaho to pay off their facility loan from Building Hope, through a new loan provided by Mountain America Credit Union. This loan allowed Rolling Hills to repay the remaining balance owed to Building Hope a year early, and purchase the underlying land which the school was leasing from a local dairy. This local credit union was willing to “take us on feeling confident in our financial situation,” said Pratt. He added that “they have been great to work with and are a great local partner for schools in our community.” Rolling Hills borrowed $1,759,000, with $200,000 of that amount earmarked for improvements to the school. Even with the expanded borrowing, the monthly payments for the school were reduced by nearly $30,000 per year. Rolling Hills plans to use the $200,000 and the savings from their reduced payments to improve their facility, upgrade their playground, and invest in curriculum, and teacher support.